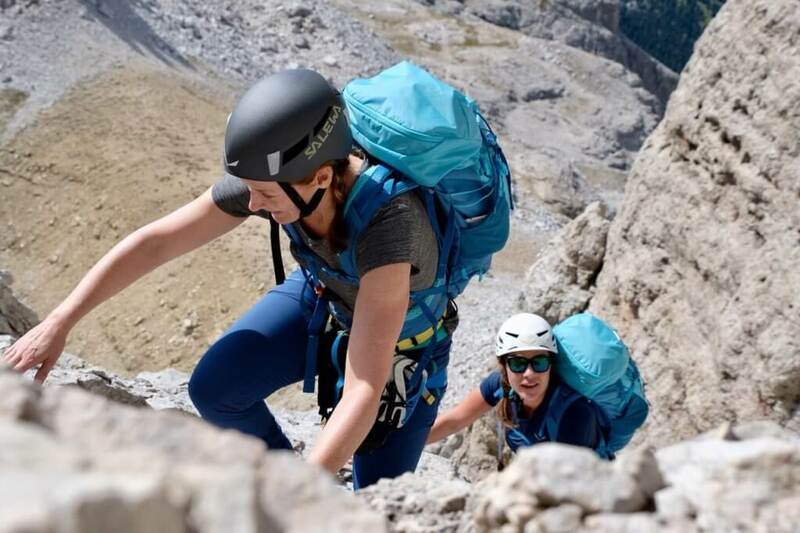 This September, Salewa invited Roisin Finlay to join them on their #PureMountain project, to hike a new Alta Via route through the Dolomite Mountains in northern Italy’s Süd Tirol (in German) or Alto Adige (in Italian). Here she tells how her love affair with the region grows more intense with each visit, and why this exquisite region must be top of every walker’s bucket list. If you think my gushing sounds over the top, maybe you’ll believe just how stunning this region is when you hear that in 2009 UNESCO declared theses mountains a World Heritage Site due to their beauty and scientific importance. Bottom line, if you love to hike or simply to immerse yourself in nature, this region in a must visit. 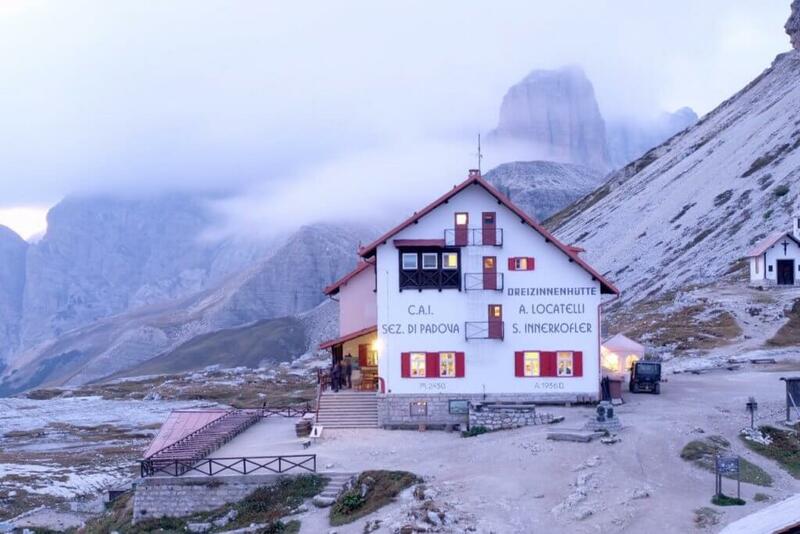 Ranging from easy to seriously challenging hikes, there are eight official Alta Via (or high routes) that wind their way through the dramatic Dolomites. Offering various lengths, suggested times for completing the routes run from six to 13 days. The beauty of these trails is that they allow you to escape civilisation, more or less completely, for the entire time you hike. And the eight official Alta Vias are merely the tip of the iceberg here in this wonderful region. There are thousands of well-marked routes to choose from. So you are free to create your own wonderful, wandering way! This is what Salewa did for the #PureMountain project. Over eight days, we travelled 150km from Tiers to Fischleinboden, ascending 8,770m and descending 8,510m (no wonder my knees are sore!). From the moon to Middle Earth, the landscape was ever-changing and spellbinding as we wandered. Amongst the highlights of this Salewa route were our 5am ascent of Seekofel/Croda del Becco in time for a Technicolor sunrise, scoffing delicious cheeses, meats and sweet pickled onions at the Capanna Fassa hut on the summit of Piz Boé (3,152m), the dizzying and thigh-busting Via ferrata delle Mesules (see below), being sprayed by ice cold water as we walked behind a pristine waterfall in the Fanes Valley and the 11am shots of homemade schnapps served up by the bearded owner of Rossalm hut… There are simply too many to recount here but my memories from this magical Salewa trip will play on the film reel in my mind till I return. 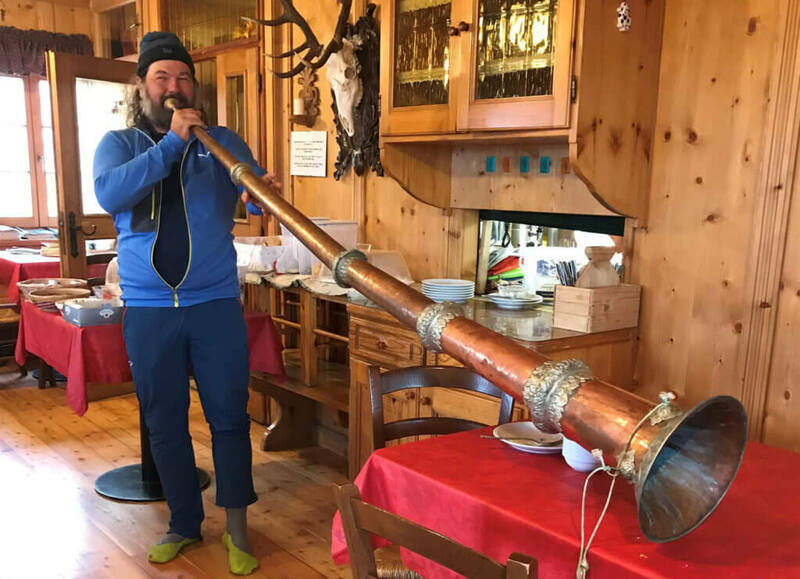 If you translate ‘refugio’ to refuge, this is perhaps the best way to start explaining the wonderful and motley collection of hundreds of huts (they are also called Hütte in German) that are dotted across the mountains of Süd Tirol. You’re likely to come across one of these places to sleep, eat, drink and recharge every three to five hours as you travel along your chosen route. You’ll find them perched dramatically on the top of remote craggy summits that you’ve spend hours climbing to reach and snuggled cosily in the folds of green summer pastures or ‘Alms’. These ‘refugi’ are so much more than just practical places to stay and refuel, however. Each has its own unique personality, formed from its history, landscape and the personality of the owners and people that work there. Many of the higher ones were built more than a century ago for the mountaineers that first roamed this region (you’ll see incredible black and white photos adorning the walls), while those in the Alms are often converted farmhouses, serving up home-produced cheeses and meats. Whichever you choose, you’ll be treated to a huge array of delicious food, cakes, wines and beers. But what they also seem to have in common is killer views and a welcome so hearty it’s like being greeted by a cosy pub with an open fire on a freezing day. 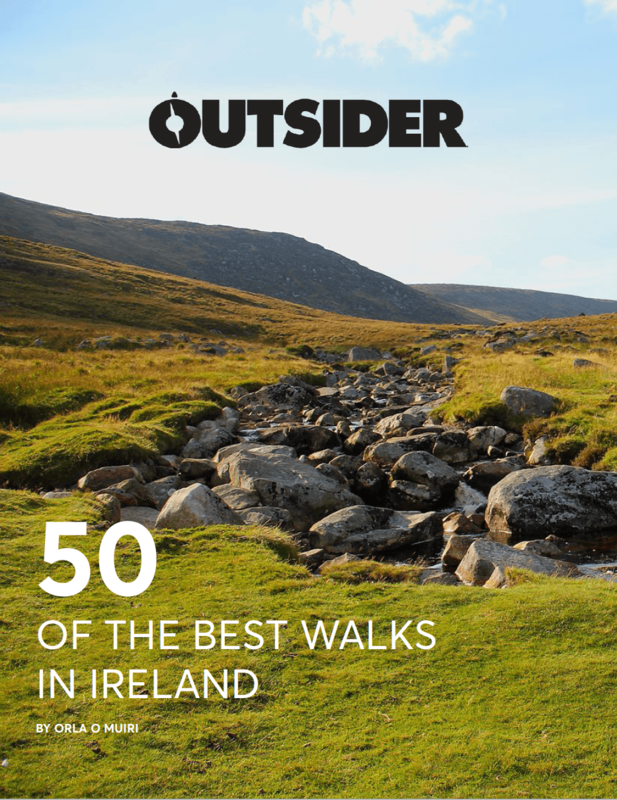 All warm, wooden nooks and crannies, you’ll be incredibly well fed and watered as you sit amongst gangs of other happy hikers laughing and drinking and playing cards. And you’ll probably be treated to plenty of homemade Schnapps along the way too. Now before you start thinking it’s all luxury living, it’s important to note that the ‘refugi’ range from super simple (with no showers and basic washrooms) with large functional form rooms, to quite fancy ones with smaller rooms of four beds and even private rooms on occasion. Last drinks and lights out will be around 10 pm or 10.30pm, which may frustrate you as the craic levels increase. But, trust me, you’ll be glad the rules saved you from yourself as you get up early the next day to set off on yet another magnificent walk. As you travel and stay in the various huts, you might get a bit boggled as you greet other hikers and those living in the mountains. You’ll move through hallo, guten Morgan, and grüß Gott to salve and ciao and bun dé, and back again! In a nutshell, the autonomous region of Süd Tirol or Alto Adige is a melting pot of three languages (German, Italian and Ladin) and associated cultures. It feels like a completely different country to either Austria or Italy. So everything from food specialities to traditional dress and accents will vary and light up your day as you move. The sad side of this is that World War I reeked havoc in this region. Südtirol was part of the Austro-Hungarian empire until the early 20th century. A fierce battle took place high in the Dolomites where Italians fought Austrians who ultimately became citizens of Italy when Süd Tirol became part of Italy when peace was restored. If you explore a via ferrata route (see below), you’ll feel more and more for the poor soldiers forced to fight and inhabit bleak high mountains as the powers that were carved up their regions. Via ferrata (or Klettersteig in German) literally means ‘iron road’. Put simply, these iron roads or routes travel through steep, rocky and exposed parts of the mountains. They consist of permanently placed steel cables, ladders, steps and hooks that you clip onto using a harness and a via ferrata set to reduce the risk of a fatal fall. (A via ferrata set comprises an attachment loop, energy-absorption system, two lanyards and two carabiners.) These routes were originally put in place so that the soldiers of World War I could move around these high altitude battle grounds. 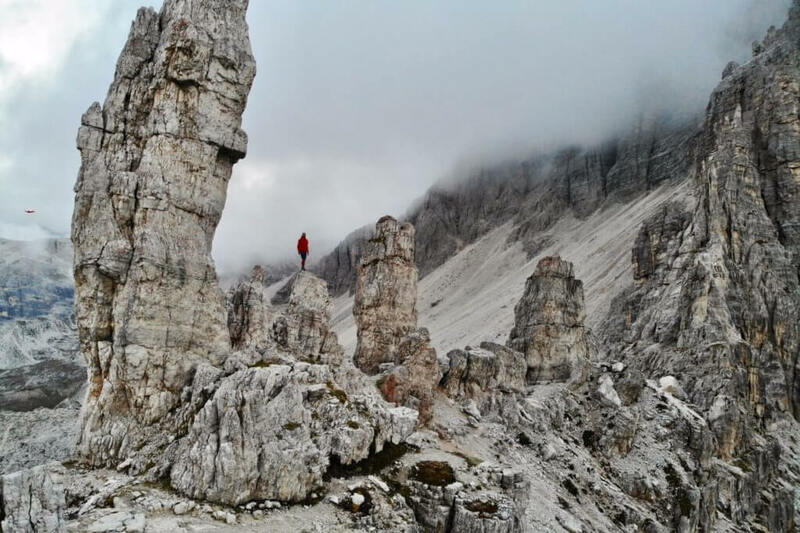 Now, while via ferrata has heartrending origins, in these days of peace the routes allow ordinary people to access the kinds of places that are usually reserved for the truly brave or highly skilled climbers. With Salewa, we completed the Via ferrata delle Mesules (in Italian) or Pössnecker Klettersteig (in German). At more than 100 years old, it’s one of the oldest via ferratas in the Dolomites and climbs an impressive 600m to the summit of Piz Selva (2,941m). As you approach the route, it’s hard to imagine how you are going to ascend the seemingly vertical mountain that towers above you. But up we went, climbing on open faces and through ravines and funnels. It transpires that the climbing is not too difficult or technical (this via ferrata is graded C/D – right in the middle of the difficulty scale) but the exposure and the three hours of ascent combine to make this a real challenge. When we topped out on the 2,941m high summit of Piz Selva, I felt a rush of emotion and the satisfying sting of tears. The views we earned were of cliffs dropping off into deep ochre coloured ravines and valleys far below that reminded me of images I have seen of the Grand Canyon. There are many, many via ferrata routes ranging from genuinely easy to truly difficult in the Dolomites. If you have any kind of a head for heights, try one!! But make sure you have the right equipment and hire a guide if you have any doubts about your ability. 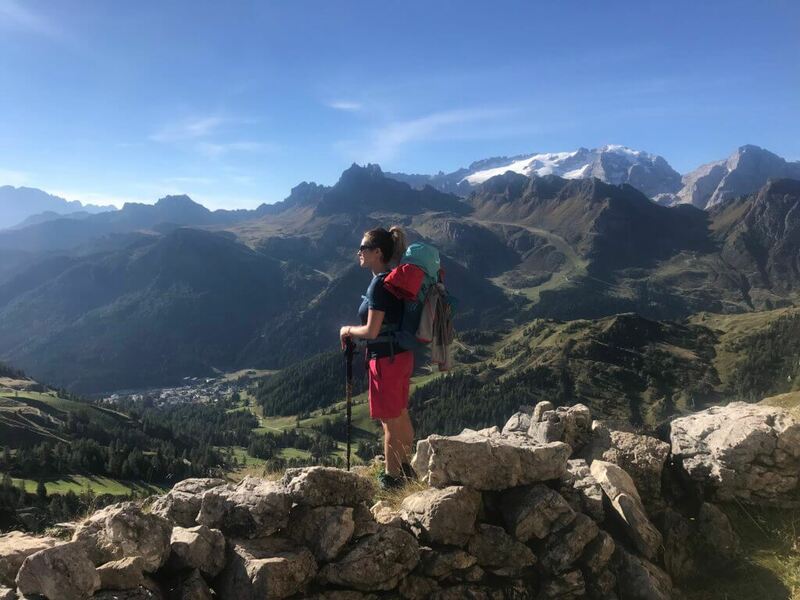 For hikers, the best times to travel are early summer (June and early July) and autumn (late August till mid-September) as this is when temperatures are most suitable. If you travel in June and early July, you can expect a kaleidoscope of flowers to bloom in a riot of colour across the pastures. While the carpets of flowers will diminish as you move into summer and autumn, later in the year is perhaps the best time for seeing edelweiss. And keep your eyes peeled for marmots (like big furry squirrels). Or rather your ears open. 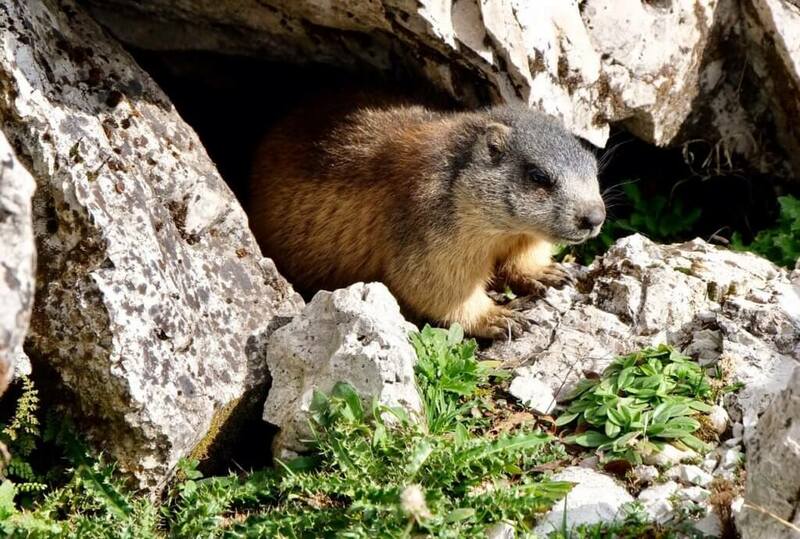 You’d easily miss these cute creatures as they pop in and out of their burrows but they give the game away by whistling to each other to warn of intruders. If you’ve spotted any near your hut, sneak out as the evening draws and watch these little guys at work. If you’re lucky, you’ll catch an amorous one facing off a rival for the female of his desire. Let’s just say a marmot fight is one of the cutest and funniest things I’ve ever seen. But whenever you visit this wonderful region of Süd Tirol, you are in for the treat of a lifetime!